It’s a great week for Bout of Books. I’m sharing what I am reading this week and the first daily challenge of the week! If you would like to find out more or sign up to join me and hundreds of other readers, click HERE. Today marks the first day for Bout of Books. I always have big goals and my eyes are usually bigger than my brain when it comes to reading all the books, but you gotta have a goal, right? Today’s challenge offers a way to introduce ourselves, called #insixwords. I absolutely always have a book with me. I am usually reading at least 3 books at a time…a Kindle book (which is either on my phone or iPad), an audiobook, and a physical book. So even if I forget my physical book, I can still read something if I’m stuck waiting somewhere or need to kill some time. 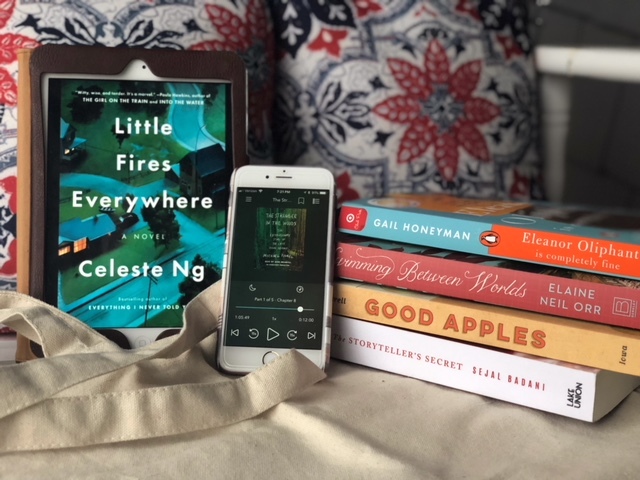 Using those pockets of free time is the best way to up your reading game! Ten minutes here and there can make a big difference! This one I have on library loan. I wasn’t expecting it to come up this last week, so it kind of derailed my reading, but it’s been on my list so I’m trying to get it done. The shocker was that one of the characters has MY name spelled MY way! That never happens! This is also a library loan. I always have an audiobook going. This one came up just as I finished US AGAINST YOU so it’s a nice change. I’m liking it so far, but am wondering where it’s going to go next since they have already captured the hermit. Everyone and I mean everyone is raving about this book. So, I’m sure if I just started it, it would be a quick read. This is a review book that I’ve been meaning to get to. It will be my last choice for this week since I have deadlines I have to finish. This is a nonfiction book by an Iowa author who will be visiting our library in September. I’m doing a piece on the book for our paper so I have to get this one finished ASAP. This is another review book that I’ve scheduled for review in early September. It’s by the same author as Trail of Broken Wings which I have on my list, but haven’t gotten to yet. This will also be a priority for me this week. 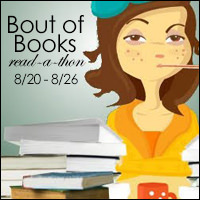 For more information about Bout of Books, check out my post HERE that explains it and shares links to previous Bout of Books. Nice selection – hope you have fun!